The best recipes you've ever tasted are featured in this culinary tour of Mississippi's "Queen City", beautifully illustrated by nationally renowned artist Greg Cartmell. 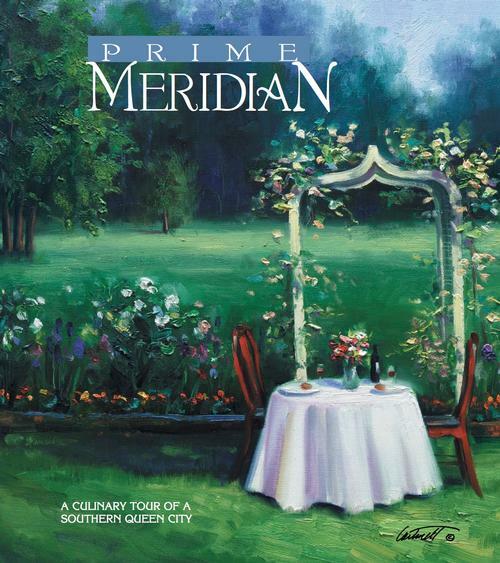 A cookbook for all occasions, Prime Meridian includes delicious gourmet fare as well as easy, everyday dishes even children will love. The book also contains a collection of regional game recipes submitted by the area's biggest hunters, and a children's party planning section. Copies are available at retailers across the south, in our school offices, and soon they will be availble to purchase on-line.